Time to revisit the law on locus standi? THE dictionary meaning of “locus standi” is the right or ability to bring a legal action to a court of law , or to appear in a court . “Locus standi” (a Latin phrase) means “a place of standing”. At times referred to as “the doctrine of standing”, locus standi determines the competence of a plaintiff to initiate civil proceedings in a court of law against the defendant. An applicant whom the court regards as having no locus standi to commence the action is thus an “incompetent plaintiff”. The doctrine of standing thus limits the citizen’s access to the court. If the citizen’s right to seek his remedy in court is denied because he is said to have no locus standi, the defendant (such as public authorities) may violate or exceed the legal limits of their powers and the courts are powerless to intervene. In February 2014, the Federal Court reviewed the law of locus standi and ruled that a person needs at least a “genuine interest” in an issue, but no longer needs to prove he has rights affected by it. The court made this ruling in a suit between Malaysian Trades Union Congress (MTUC) against the government for access to the concessionaire agreement involving Syarikat Bekalan Air Selangor Sdn Bhd (Syabas) and an audit report. The court held that for a plaintiff to pass the “adversely affected” test, he must at least show that he has “a real and genuine interest” in the subject matter. “However, it is not necessary for the applicant to establish infringement of a private right or the suffering of special damage,” the court said. The court held that MTUC had shown that it had a real and genuine interest in the two documents and was adversely affected by the minister’s decision. This decision is significant because it has cast aside the earlier test of locus standi set down by the Supreme Court in the 1988 case of Lim Kit Siang v United Engineers (M) Bhd, where Lim had asked for a declaration that the letter of intent issued by the government to UEM to construct the North-South Expressway was invalid. The Supreme Court then ruled that Lim had no locus standi as he had failed to show that his private right had been infringed or he had suffered a special damage. In Abdul Razak Ahmad v Majlis Bandaraya Johore Bahru,  2 MLJ 287, the plaintiff brought an action against the city council for a declaration that the planning permission granted to a developer was null and void. His application was dismissed because the court said he has no locus standi to commence the action. Razak has always maintained that, as a Johor Baru rate-payer, he is entitled to seek that declaration from the court. He said that he had written a letter to the defendant on Sept 7, 1994, enquiring about the controversial Johor Baru Floating City. 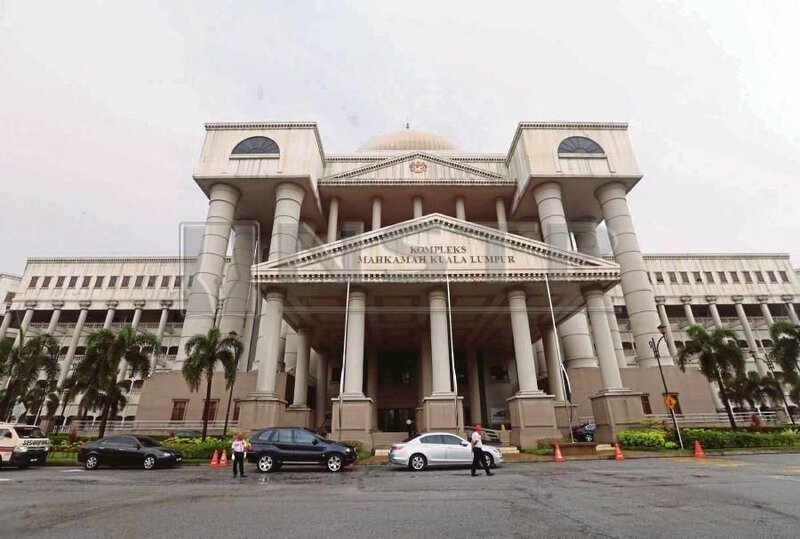 Razak said that he was informed that the defendant had given planning permission on Jan 12, 1994 to the Johor Coastal Development, the developer of the project. In his letter, he was seeking confirmation from the defendant whether it had given notices to adjoining landowners of the project as required under section 21(6) of the Town and Country Planning Act 1976. Since the defendant had not responded to his letter, he had no choice but to file his suit to seek the declaration from the court. In the course of his judgment, the trial judge had said that “when the Datuk Bandar received a letter by hand dated Sept 7, 1994 from the plaintiff, the Datuk Bandar remained silent.” The defendant justified his action for not replying because (according to him) “the plaintiff was a busybody”. Unfortunately for Razak, the trial judge came to the same conclusion that “as a mere busybody and without standing he was not entitled to receive a reply from the Datuk Bandar in regard to his letter dated Sept 7, 1994”. The trial judge also described Razak as “a trouble shooter, a maverick of a sort, out to stir trouble”. It was a harsh and totally irrelevant remark by the judge. More than two decades later (in June 2007) when Razak was asked about this turbulent period in his legal career, he said that it was unfortunate that the court had treated him as a mere busybody, denying him locus standi to commence the action. It was also unfortunate that the court had held “to give locus standi to a rate-payer like the plaintiff would open the floodgates and this in turn would stifle development in the country”. Under UK administrative law, an applicant must have a sufficient interest in the matter to which the application relates. This “sufficient interest requirement” has been construed liberally by the courts. In a 1982 case, Lord Diplock said “It would be a grave lacuna in our system if a pressure group … or even a single public-spirited taxpayer is prevented by outdated technical rules of locus standi” from bringing the matter to court to get the unlawful conduct stopped. The law on locus standi, as openly admitted by an eminent British judge as indeed being “outdated”, is now clearly contrary to the principles of good governance — i.e. “openess, transparency, integrity, and accountability”.